Car batteries, like any other battery, can die at some point. They may die because they weren’t properly charged, or the charge was wasted, or they got corroded or dirty, or they simply got old. When your car battery dies, you need it replaced by a professional towing company. Captain Towing provides Dallas car battery replacement 24 hours a day, 7 days a week. 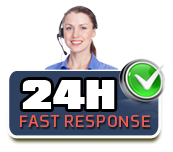 Our rates are affordable and our timing is quick and efficient; we never make you wait more than 30 minutes once you call us. We love serving the Dallas area and keeping drivers safely on the road. As professionals in this industry, we know that sometimes when car batteries act like they need to be replaced, it’s really something else going on. So when you call us with a problem, we’ll come to you right away to diagnose the situation. We’ll inspect your car battery to determine if it really is dead and in need of replacement or if it just needs a good cleaning, a good charge, or other service. We’ll also inspect the vehicle to see if it’s not another part of the car that’s malfunctioning and making it seem like the battery is dead. When we determine that you need car battery replacement, we’ll do it for you right there and make sure you’re fully charged and ready to get back on the road. Dallas is quite a busy area, and with all the congestion and traffic here, it’s hard to get the attention you need. But because we’re a local business, we know our priorities, and our priorities are you. We’re always on call to come to your aid, and our technicians know the area well and can make good on-the-spot choices on how to get to you the quickest based on current driving conditions. Call Captain Towing the next time you need car battery replacement or any other roadside assistance service in Dallas.